Android 5.0.1 Lollipop shows up only a month after the major 5.0 release and images for various Nexus devices can be already downloaded directly from Google. Google launched Android 5.0 Lollipop less than a month ago and, unfortunately, this major update appears to have been unleashed packing a few annoying issues. Now the first bug-fixing update has been already spotted on the Android Open Source Project website and can be easily downloaded by users who do not want to wait for the over-the-air delivery package to become available for their devices. 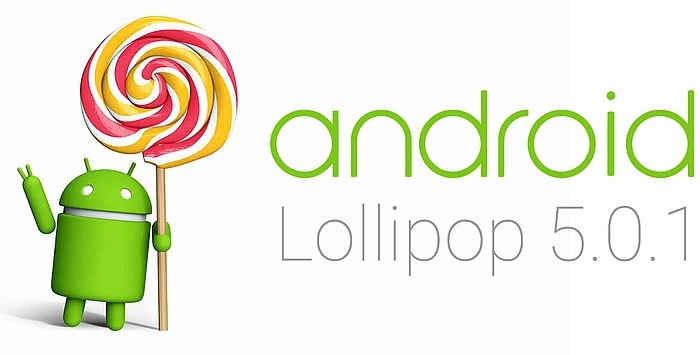 Google Android 5.0.1 Lollipop factory images available now for download target the following devices: Nexus 9 (WiFi only), Nexus 7 (WiFi only), and Nexus 10. Some of their users are still stuck with Android 4.4.4 KitKat and it looks like the OTA update to Android 5.0 Lollipop did not reach them yet. The Google devices currently waiting in line to get the 5.0.1 factory images published for download are the Nexus 4, Nexus 5, Nexus 6, Nexus 9 LTE and the 3G-enabled Nexus 7. The list of changes that Android 5.0.1 brings with it is not public yet, but the list of bugs waiting to be fixed includes a WiFi issue, an SMS bug, frequent restart of apps running in the background, a broken manual account sync button in Settings, a flashlight bug that also affected some Nexus 4 and Nexus 5 devices, and more. We will get back to Android 5.0.1 Lollipop as soon as Google reveals more about which problems it fixes. Hopefully, all the factory images and the OTA update will also be ready by then.